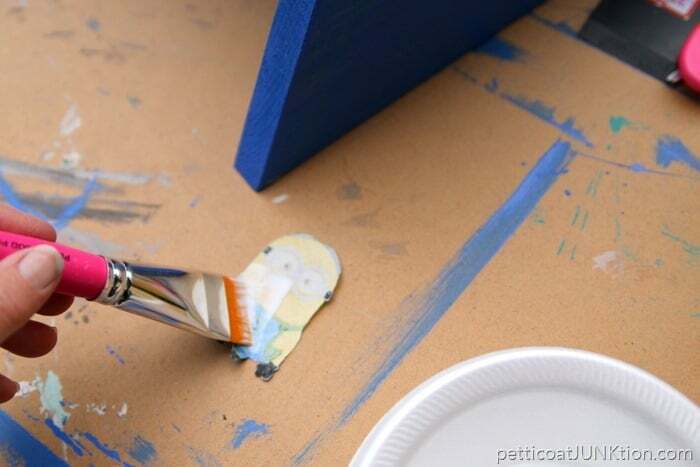 Today I’m channeling my inner child with Mod Podge® and the Minions. The decoupaged step stool will make any kid want to step up and wash their hands. 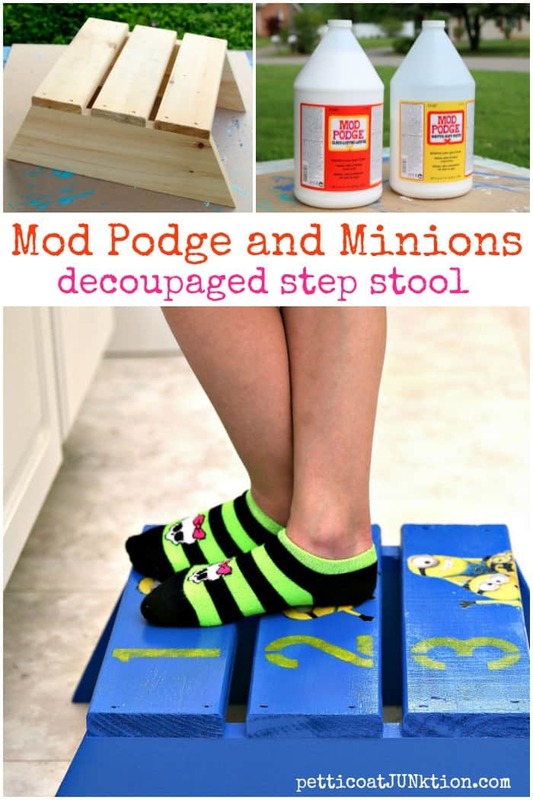 I pulled out two almost empty gallon jugs of Mod Podge from my craft shelf and went to town on the stool. I made a colorful step stool for Sofi’s daycare. This might just be my favorite Mod Podge project to date. 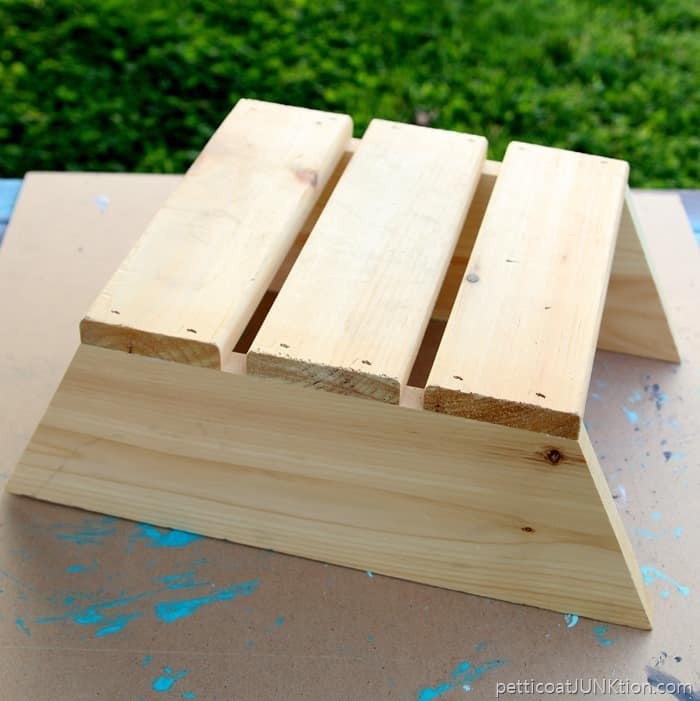 I started with an unfinished wood step stool from the local hobby store. I selected this specific stool because it’s very stable. 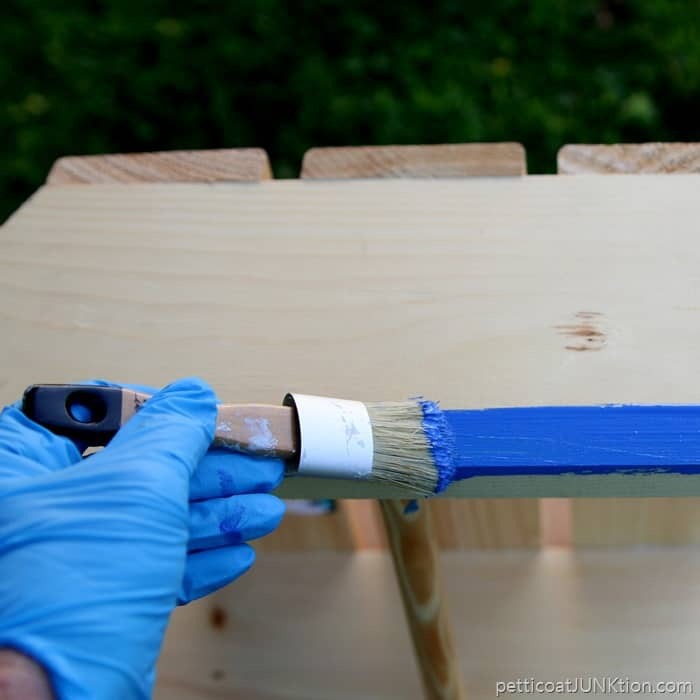 I brushed on one coat of blue paint. 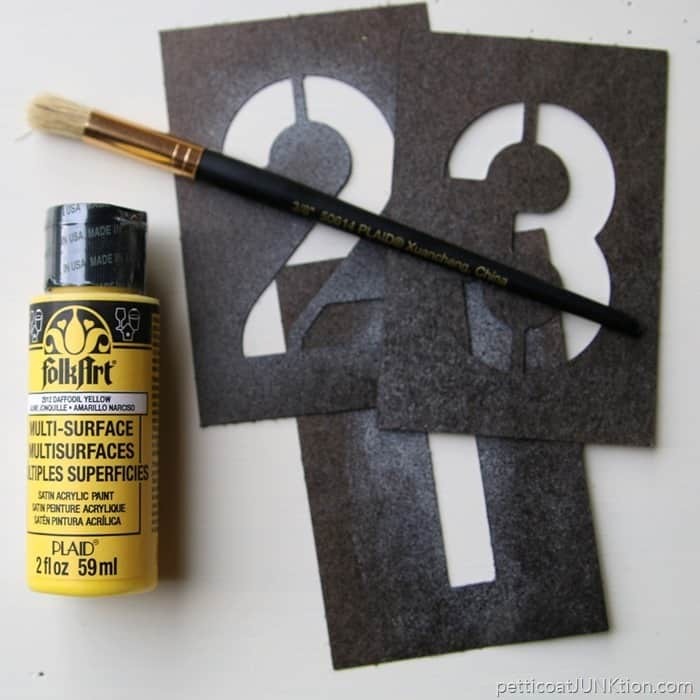 Then I grabbed a few number stencils and FolkArt Multi-Surface Acrylic Paint in Daffodil. The bright yellow color pops against the blue. 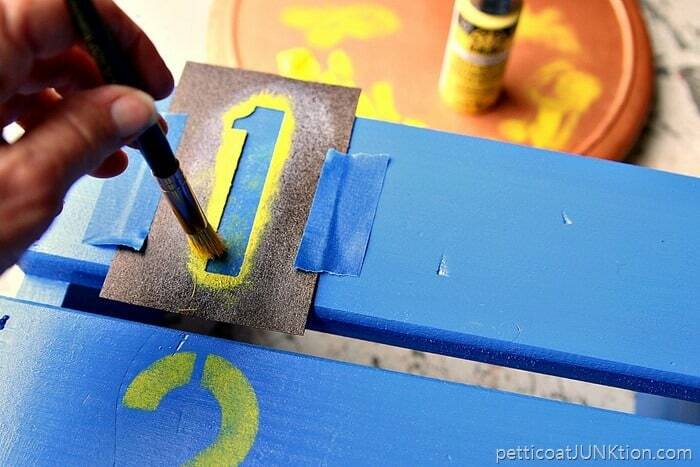 If you’re making something for a classroom why not use it as a learning tool too. Easy as 1, 2, 3. I pounced the paint on using a stencil brush wiped free of most of the paint. A very dry stencil brush works the best. 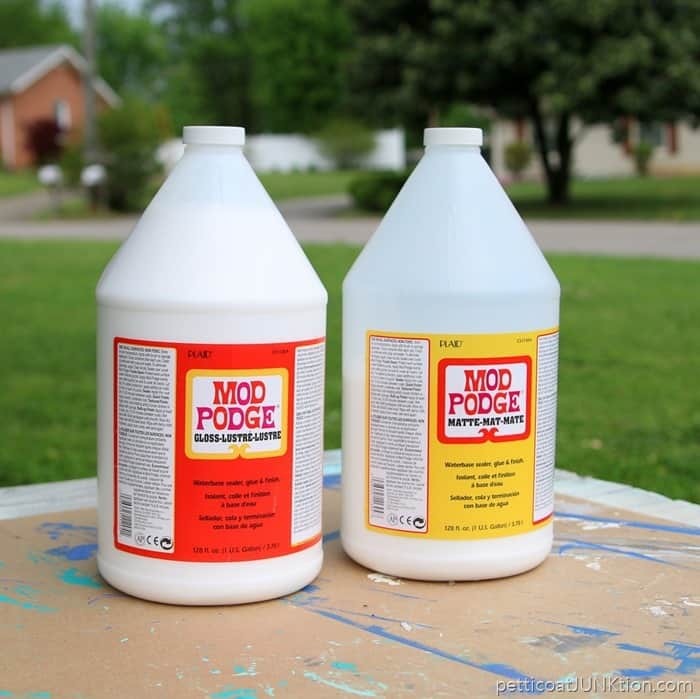 You guys thought I was teasing about Mod Podge by the gallon didn’t you. Nope. Mod Podge turns 50 this year. I remember using it in school……. for everything. Plaid has a new online educators content hub for parents, teachers, or anyone who loves Mod Podge. You can find project ideas, instructional videos, downloadable calendars, and other helpful info on the hub. These are just the guys to add pizazz to my Mod Podge project. 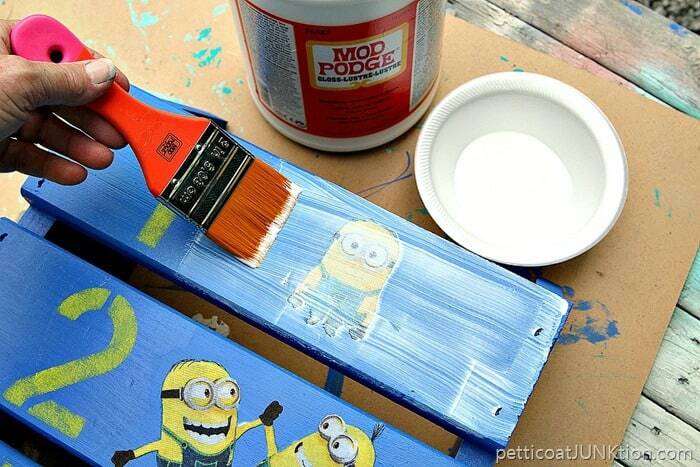 My first plan was to decoupage the sides of the stool with the Minion themed fabric but then the plan changed. I’m just glad I thought of the new plan before I started on the original plan. It doesn’t work that way most times. Plan number two was to cut out the little guys and Mod Podge them to the top of the stool. I cut out one Minion for the first slat, two Minions for the second slat, and three Minions for the third slat. 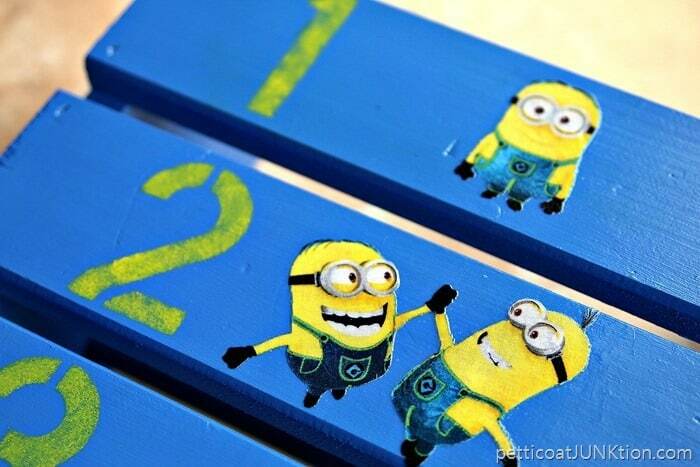 I used a small brush to apply Mod Podge Matte to the back of Minion number one. 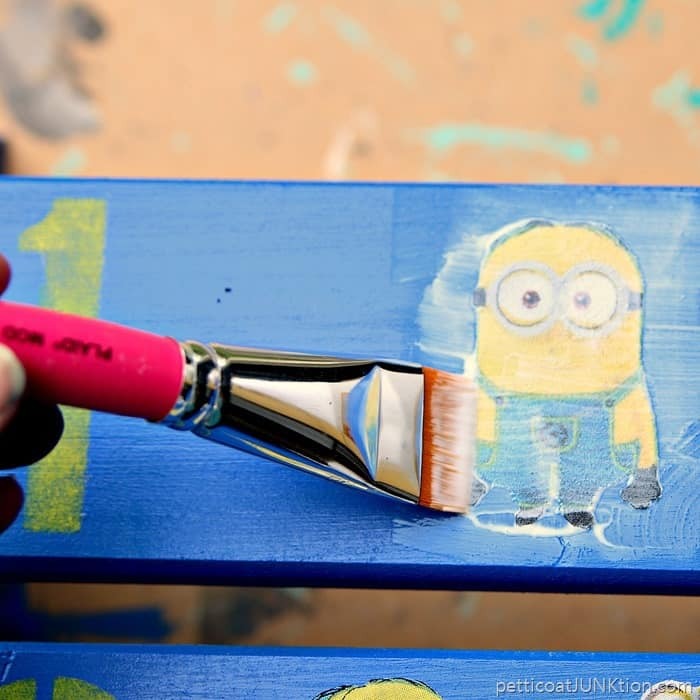 I placed him on the stool and then applied a coat of Matte over the top of the Minion. 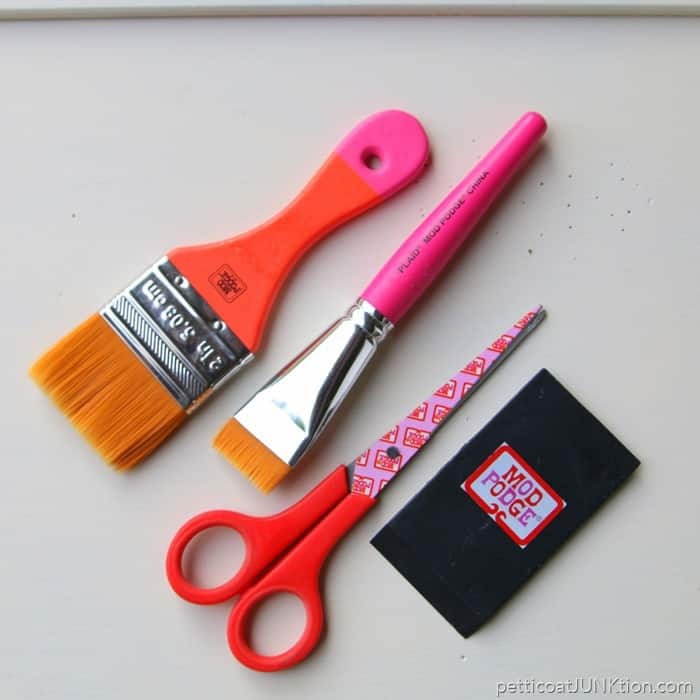 The Mod Podge squeegee works great for removing bubbles from underneath the decoupaged fabric. 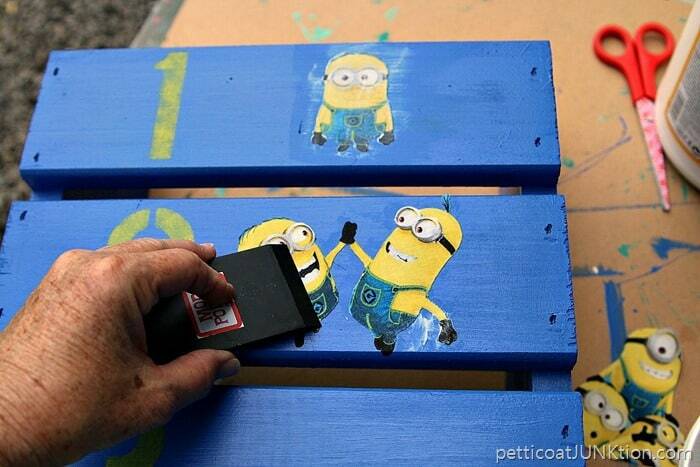 Once the decoupaged Minions were dry I coated the whole stool with Mod Podge Gloss. Shiny is always better. 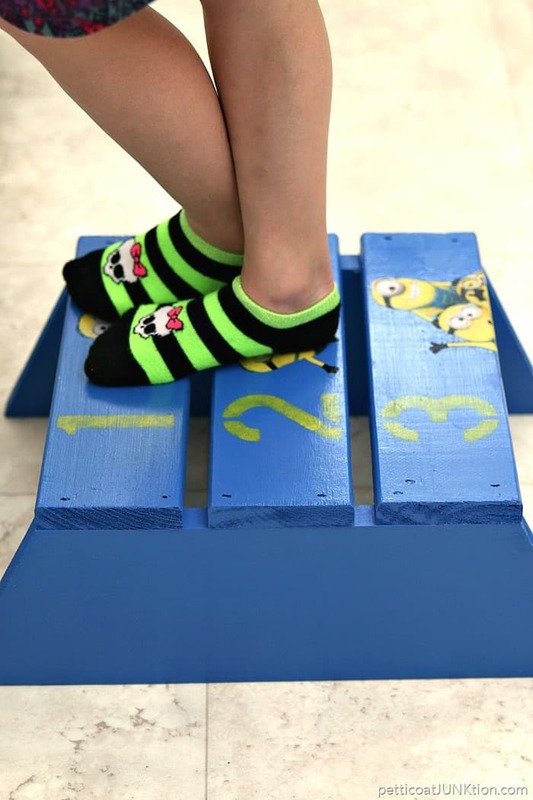 The stool can be used at the water fountain in the classroom and the coating of Mod Podge protects the paint and fabric from water droplets. Sofi’s classroom teacher will receive a gallon of Mod Podge from Plaid along with the cute little step stool from me. Sofi was delighted to be a foot model and the first to try out the step stool. She gave it two thumbs up. Check out the Mod Podge 50th Anniversary page for free resources and E books by clicking here. And don’t forget to visit my fellow Plaid Creators for more class room project inspiration. The photo links are below. Just give them a click! Disclosure: I partnered with Plaid Crafts to bring you this project. All words, project ideas and photographs are 100% my own. 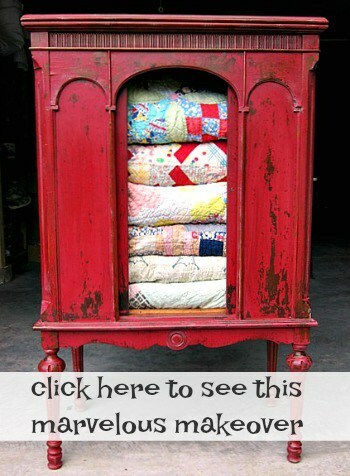 This is such a cute project for the classroom or for home (or grandma’s house). 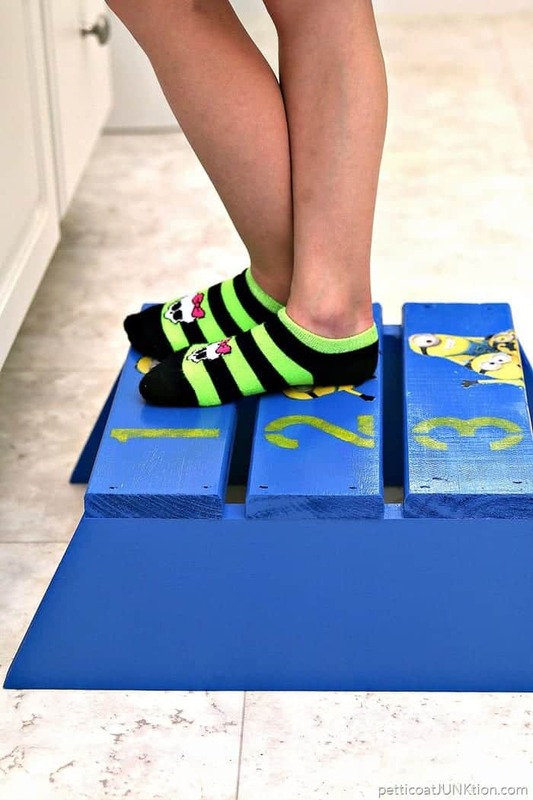 Kids would love using this step-stool with the lively colors and graphics. Hooray for mod lodge! Perfect for the classroom or really any room. 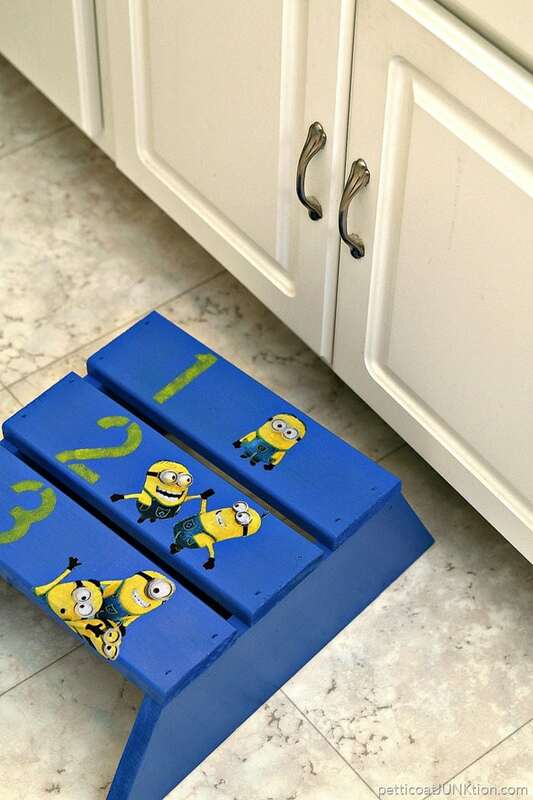 What kid wouldn’t want to step up to wash their hands with the Minions? 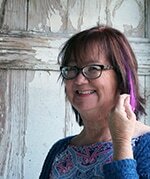 Thanks for sharing this fun project on Share Your Style. Great job Kathy the stool is precious!! You are right the colors do pop!! That was very thoughtful of you to make such a special stool for her class & the gallon of Mod Podge was an extra bonus for sure!! I know they will love it ? Cute! Minions always make me smile. It’s cute, but, why do children have to be barraged with Hollywood characters in school? Why not something from say, a real book? Hey Dixie, You know how I am. I love bright colors and this fabric spoke to me when making my selection! 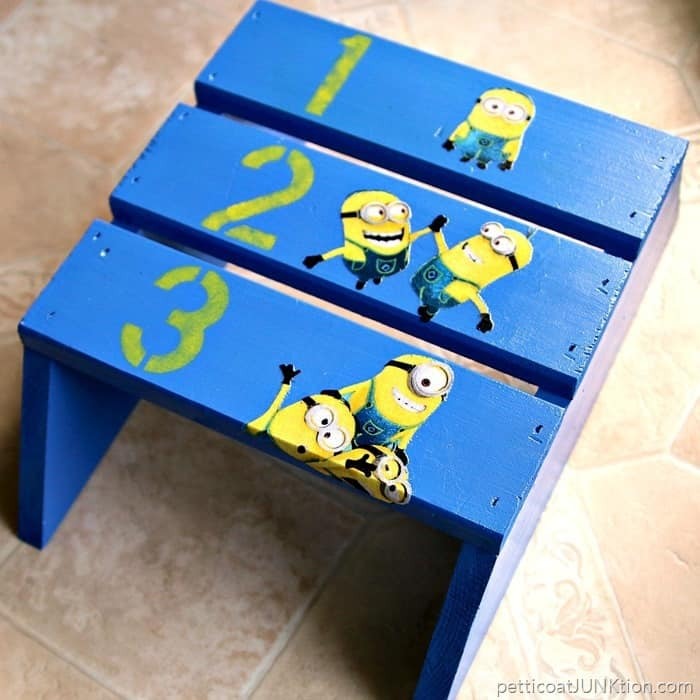 Just adorable, and so functional, I know this will be a classroom favorite! That’s adorable! My son LOVES minions. 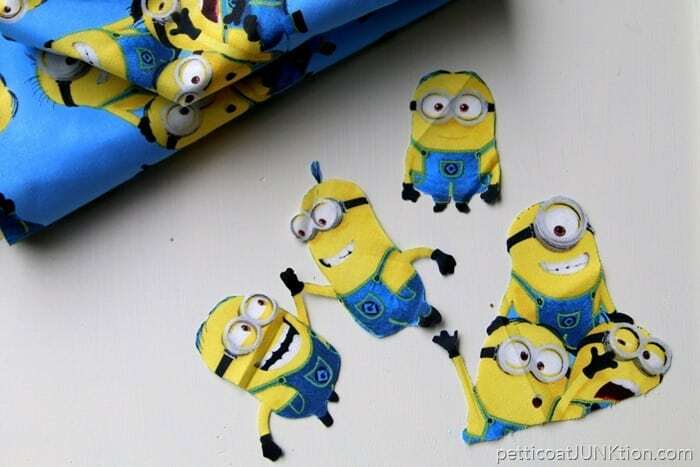 We cannot wait for the new Despicable Me movie this summer. What a great idea. What a cute idea. Love this. One lucky classroom.